A handful of University of La Verne business students who will one day become leaders in technology, marketing, and other fields shifted their focus this month to an even bolder objective: saving lives. 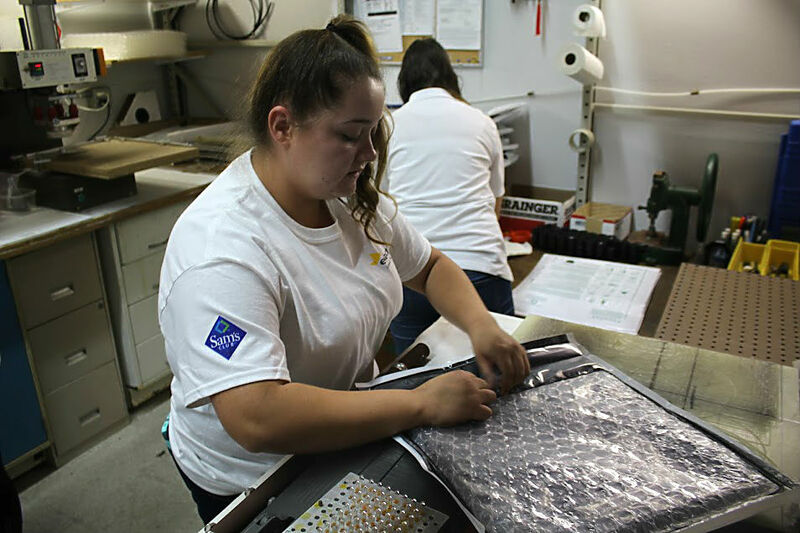 The 17 members of the university’s Enactus club chapter gathered at Solar Solutions in San Diego to build AquaPaks – solar water pasteurizers invented by the company’s CEO, Frank Husson. AquaPaks are plastic bags that produce potable water when placed under the sun for about 90 minutes – enough time for solar radiation to kill any bacteria or viruses. Dr. Issam Ghazzawi, professor of management and Enactus adviser, said the 50 bags assembled by the students will be sent to Cambodia, potentially providing clean water to more than 150 people. A 2014 report by UNICEF shows that about 6.3 million Cambodians do not have access to safe drinking water, making them vulnerable to water-borne diseases. The population consists of about 3.9 million people who are poor and live in rural areas, and about 40 percent are children. Master of Business Administration student David Moreno, a manager at Solar Solutions, caught an Enactus presentation in 2016 and immediately thought of AquaPaks as a potential project for the students. Students embraced the idea and came to the plant ready to work. Yiting Lin, a senior business administration major, said he organized the trip, learning management skills, confidence, and good communication along the way. “That’s the key to being a good leader,” he said. Tiffany Villagrana, a junior business administration major who is considering a career in marketing, said Husson made a positive impression on students because he paid for all of the AquaPaks out of his own pocket. Students are also working on other projects for Enactus this year. One, called “Backyard Outreach,” involves collecting business clothing for students from the Pomona Unified School District who are nearing graduation. In the last two years, the University of La Verne’s Enactus students have planted vegetable gardens to combat childhood obesity, collected business clothing to help Filippino college graduates get jobs, and traveled to Mexico to help a woman start a catering business. The team has earned local, regional, and national accolades for its work.